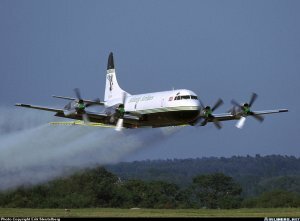 Two Lockheed L-188C(F) Electra operated by Air Atlantique (Atlantic Airlines Ltd) under contract for pollution control. Fitted with removable aerial spray equipment to combat oil pollution at sea. Each aircraft can carry 15 tonnes of dispersant. Based at Coventry Airport. One aircraft assigned to the contract is usually G-LOFE, the other is drawn from G-LOFB or G-LOFC depending on availability. 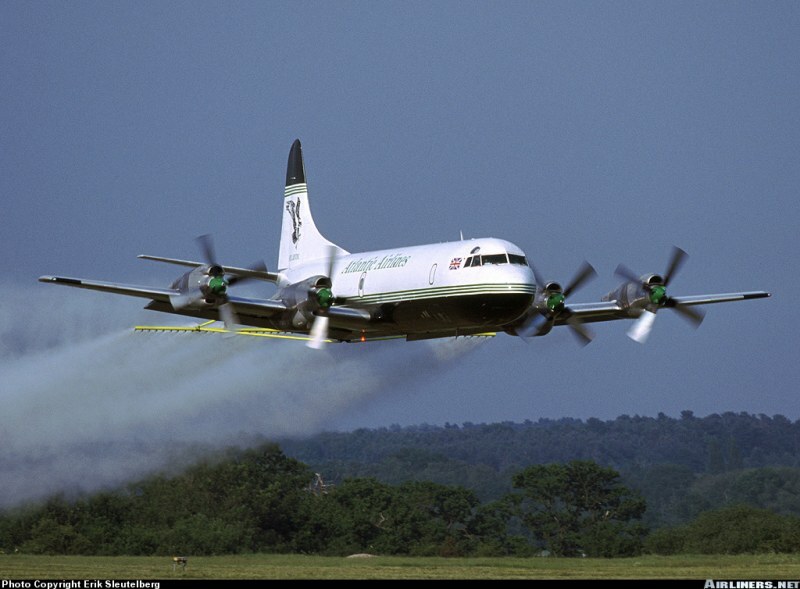 Electra G-LOFE demonstrates its spray system. (photo, Erik Sleutelberg) G-LOFE shows the quick-fit spraybar rig.